How do I estimate the diameter of a diamond ring halo? It has been said that the road to success is always under construction. As a fifth generation diamond cutter, it has always been Brian’s aspiration to cut the most perfect diamond. However there really is no such thing as a perfectly cut diamond, it is merely something that we can aspire towards achieving. All the while, fine tuning our technique and cutting technology, to achieve greater and greater light performance and the success that comes with doing so. To that regard, success as a diamond cutter is more of a progressive course and not an end to be reached. 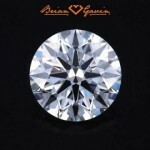 Brian Gavin is widely recognized throughout the industry as a leading authority on hearts and arrows diamonds. He introduced his own brand of hearts and arrows diamond back in 1998. 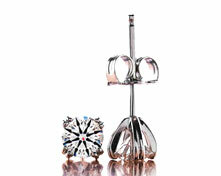 It became the foundation which many online private label diamond collections were built upon. 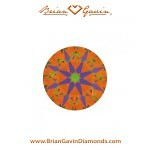 The Brian Gavin Signature round hearts and arrows diamond was introduced in 2009. It represented the next evolution in Brian Gavin production standards. It is quite literally one of the world’s most perfectly cut diamonds, and widely recognized as such. But there is always room for improvement, and Brian is always looking for ways to achieve higher and higher levels of light performance. The initial idea behind Black by Brian Gavin was to step back from the usual approach to producing super ideal cut diamonds. In order to do this, Brian literally dissected the round brilliant ideal cut diamond, to determine how the individual components interact to produce such incredible light performance. He asked himself what happens if little things are adjusted, even if only very slightly, and in doing so he discovered some pretty incredible things. Without needing to get overly technical, let’s say that Brian discovered the importance of fine tuning the ancillary angles of a diamond, to further improve light performance. 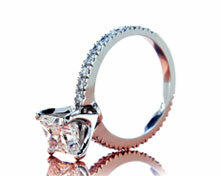 Ancillary angles are every angle on the diamond that is not considered to be the crown or pavilion angle. Basically, we’re talking about the lower girdle, upper girdle, and star facets. 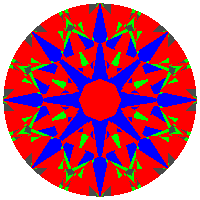 But as with all hearts and arrows diamonds, the optical precision of the facet structure is also a factor. Because optimizing the ancillary angles of Black by Brian Gavin diamonds, improves light performance. It is simply a matter of common sense that reducing light leakage, while improving the ability for diamonds to gather and reflect light is going to improve light performance. Now whether you can see it or not, is perhaps another matter altogether. 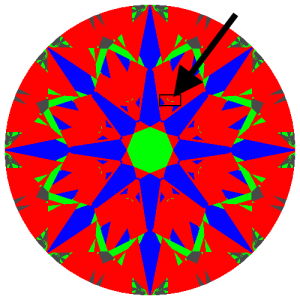 Low-intensity light zones between the blue arrow shafts of a diamond may exist under the table, but are not always easily viewable by the naked eye in an ASET image. 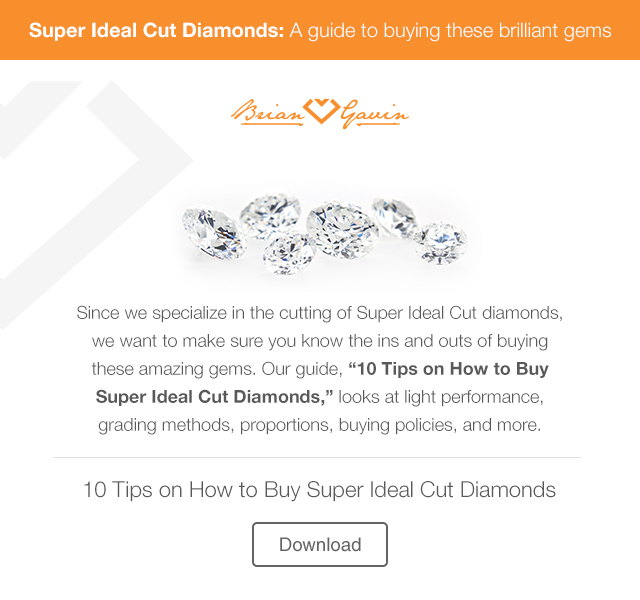 As technology advances, so does our ability to get even more specific when cutting diamonds. This allows us to eliminate the low-intensity light zones altogether, which is part of our patent pending process. You can see this in the image below. Low intense light exists under the table, but you might not catch it on a typical AGS document showing an ASET image. Here are some additional poignant examples for the sake of comparison. This ASET image reveals a higher degree of light leakage under the table facet. Specifically, this diamond has more low to medium intensity light zones under the table facet. Yet this diamond still warranted an overall cut grade of AGS Ideal-0, because the zero ideal cut rating encompasses a range of light performance. This next diamond represents what we consider to be the outer edge of light performance for an ideal cut diamond. 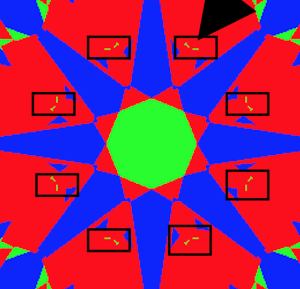 This diamond exhibits what we consider to be extreme low intensity light zones under the table facet. In terms of visual performance, this translates to a lesser degree of light return. Now that you fully comprehend the impact of those green areas between the arrows of an ASET image, the choice as to which AGS Ideal-0 cut diamond should be clear. 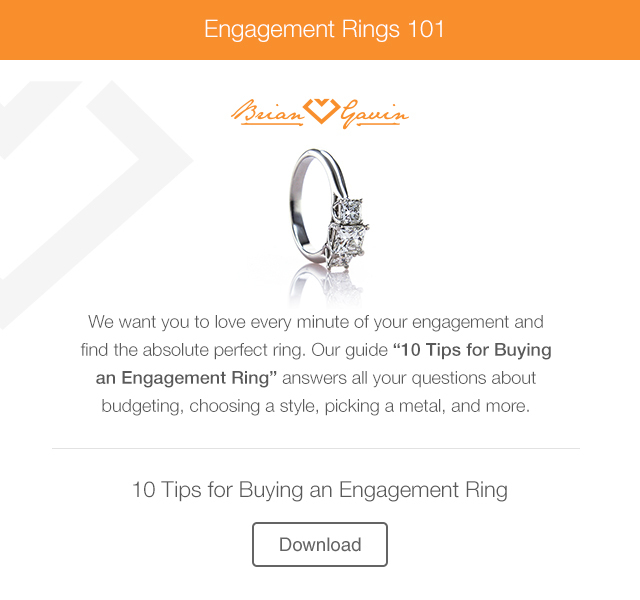 The obvious question that you’re probably asking is whether you should choose a Black by Brian Gavin or Brian Gavin Signature hearts and arrows round diamond. This is kind of like trying to decide between an American Express Platinum or Black card. The reality is that both cards offer similar services, with some minor differences. The odds are that most people would be perfectly happy with either, and the same could be said of Black by Brian Gavin and Brian Gavin Signature hearts and arrows round diamonds. We’re not comfortable saying that Black by Brian Gavin is better than everything else, it simply represents the pinnacle of Brian’s diamond cutting career up to this point. The reality is that we could have simply implemented all the changes into the production standards of the existing line of Brian Gavin Signature diamonds, however the additional time necessary to fine tune the ancillary angles, and the additional loss of carat weight that results from doing so, results in slightly higher production costs. So we elected to give our clients the choice between Black by Brian Gavin and Brian Gavin Signature round hearts and arrows diamonds. Of course, quite a few of Brian Gavin Signature round diamonds exhibit traces of what we’re calling “Gavin Effect™” (patent pending) which is created by fine tuning the ancillary angles of the diamonds. 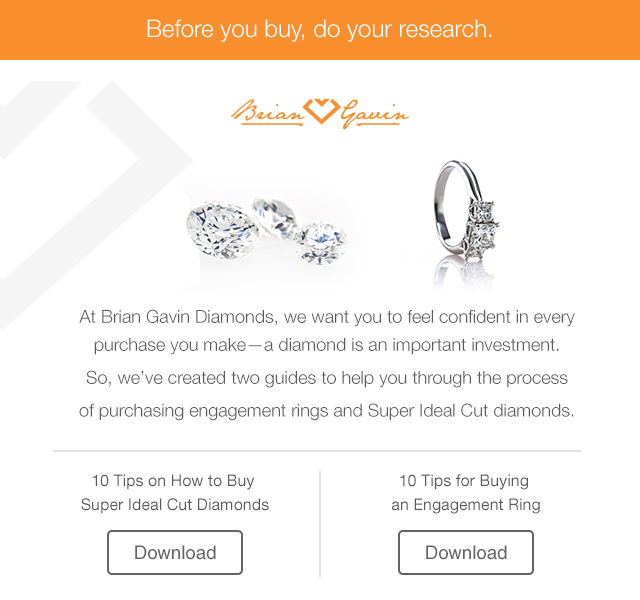 It also goes without saying that traces of Gavin Effect™ are visible in many Brian Gavin Signature hearts and arrows round diamonds. This is because it’s not possible to improve the manner in which our diamond cutters produce our diamonds, without those improvements bleeding over into our other lines. We also can’t rule out the possibility that some other cutters might not randomly achieve the same level of performance, if by no other means than sheer luck. Which is not to say that they’re achieving the same level of cut quality or performance on a routine basis. What we do feel comfortable saying is that Black by Brian Gavin represents the next evolution of diamond cutting at the hands of Brian Gavin. Nobody else offers an entire collection of diamonds cut to the new standard that Black by Brian Gavin presents. 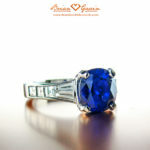 Can I Get a Hearts and Arrows Cut in a Ruby or Sapphire? This entry was written by Danny, posted on September 27 at 1:04 am, filed under Diamond Education. Bookmark the permalink. Follow any comments here with the RSS feed for this post. Trackbacks are closed, but you can post a comment.